Sugar Free Style: Pop Quiz: Low-calorie sweeteners cause sugar cravings? Pop Quiz: Low-calorie sweeteners cause sugar cravings? Another day, another piece of misinformation about low-cal sweeteners. At dinner earlier tonight, a friend mentioned that she heard sugar substitutes generate a sweet tooth. And then another one piped in with accusations that they cause weight gain. Sigh. Just to ease your mind, these are myths. Don't believe me? Here are the facts...A number of studies over the years have determined that low-calorie sweeteners do not increase appetite, food intake or weight gain. In fact, the vast majority of scientific literature confirms the safety and benefits of using low-calorie sweeteners and low-calorie products for weight control and weight loss. For example, a team of researchers from Harvard spent two years investigating how the addition of a low-calorie sweetener to a multidisciplinary weight control program would affect obese women. They found the low-calorie sweetener not only helped with weight loss, but also with long-term weight maintenance. In another report published in the American Journal of Clinical Nutrition, researchers reviewed 224 professional studies on the effects of non-nutritive sweeteners on appetite, food intake and weight. They concluded that low-calorie sweeteners “have the potential to aid in weight management.” And according to a recent study published in the International Journal of Obesity, consumption of sugar-free beverages sweetened with low-calorie sweeteners increases dietary restraint, a key aspect of successful weight maintenance. American Diabetes Association, American Dietetic Association and the American Heart Association all agree that reduced-calorie foods and beverages are a good option for those who want to control their weight and maintain a better lifestyle. Now, all that being said, it’s important to remember that low-calorie sweeteners and the products that contain them are not “magic bullets” for weight loss. Instead, they are tools to be used as part of an overall weight control program, which includes a reduction in calories and an increase in activity. 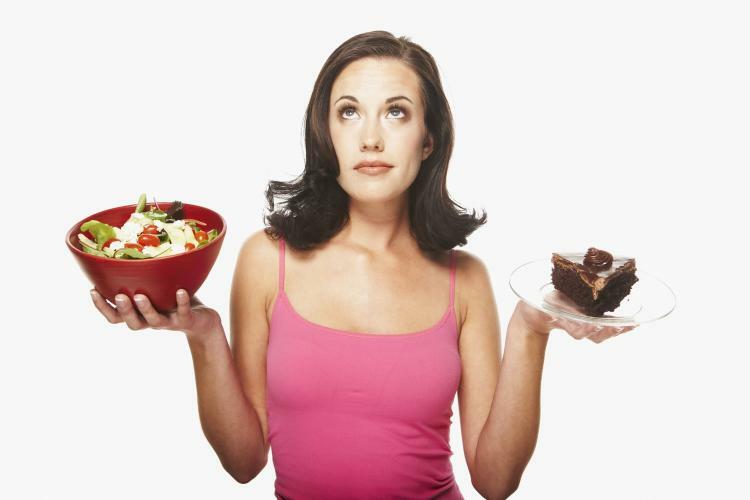 By the way, if you are having trouble avoiding sugary treats, here are some old - but still fabulous - tips from a dietician to help control those sweet-tooth cravings. 1. Pay particular attention to how you start your day. A breakfast high in sugary carbs can trigger the cycle of sugar cravings for the rest of the day. Try to eat within two hours of waking, and throughout the day, try not to go longer than four hours without eating. Remember to incorporate appetite-squelching protein-rich, high-fiber foods that contain a little fat with every meal and snack. This will help prevent those mid-afternoon energy slumps that leave you craving sugar. 2. Scan labels and check the nutrition facts for grams of sugar. To put the numbers into perspective, a sugar packet contains 4 grams of sugar. So a large soft drink with 85 grams of sugar would be akin to downing more than 20 packets of sugar. 3. Cut back on the stuff that can really make an impact. There are the obvious cookies, cupcakes, pies and ice cream, but the bigger culprits may be sources of hidden sugars, such as yogurt, coffee drinks, smoothies, cereal, granola bars and "fiber" bars. 4. Find other sweet-tasting snacks such as a protein bar, sugar-free flavored iced coffee, peanut butter and low-sugar jelly sandwich, low-fat plain Greek yogurt with a no-calorie sweetener (like sucralose). Want something sweet after a meal? Try popping a piece of sugarless gum or sipping a cup of coffee, tea or sugar-free hot cocoa. Sugar-free Jello and pudding can also help take the edge off a sweet tooth with little or no calories.